"Radiation Free Summer Camp with Wild Dolphins"
Giving an opportunity for children to feel the world of wild dolphins. 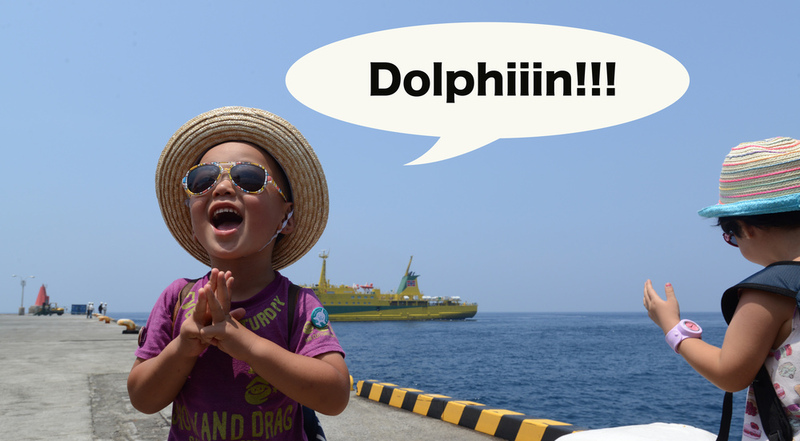 So, we have started to organize a dolphin camp in Mukura Island for children in Fukushima where they can swim with wild dolphins since 2014. They stay in the nature of Mikura Island. They will use full of their five senses including seeing, hearing, smelling, tasting and feeling during the camp. And they will play with no stress from the radiation fear. We believe that dolphins teach us about the rule of nature. When you swim with dolphins in the blue water, you will truly feel that we are just a part of nature. You will be able to feel the pure joy of nature. Children will walk in the deep forest, look up the vast sky and swim in the crystal clear water. This dolphin camp is a great adventure for children. The camp is organized by volunteers. We are currently collecting donation for 2017 Kids Dolphin Camp. Please support the children. Children are our future.